Jade’s newest ELITE S mat is specifically designed for those with an avid daily practice, making it our most durable mat yet! The ELITE S is deal for Ashtanga, and those with flowing, vigorous practices. 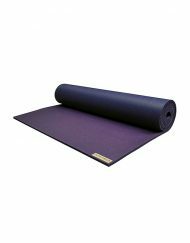 An extra dense top layer gives the mat added firmness and durability, while its smooth surface boasts outstanding grip for almost any practice. 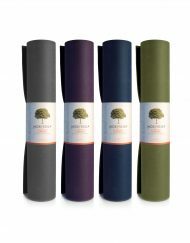 So a Manduka mat married a Jade mat and they had a baby and the baby is perfect. 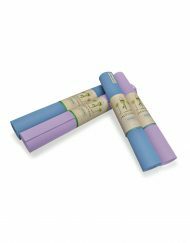 It has the density and weight of manduka and has the non-slipperty grip of a classic Jade. So if you were ever torn between the two or ever wished that Jade wouldn’t move as much – you’ve got it! I recently purchased this mat for my ashtanga practice and it hasn’t disappointed me. I have been using jade mats for years. 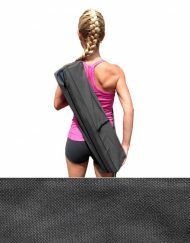 The fusion mat has been my go to mat for home practice and the harmony mat for travel. This mat is even better. 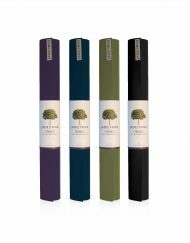 It’s more sticky than the regular jade mats when you need it, but at the same time it has a more forgiving surface when you need to slide your feet over the mat for instance in vinyasas. I agree with another reviewer who asks for more width and length, but I would also like a slightly thicker version in order for it to be my preferred mat at home. Purchased as my third Jade mat (after two Harmony mats). This is my best mat yet for daily ashtanga practice. The surface is less tacky but provides adequate grip. It feels much more stable than the Harmony, the dense top layer distributes pressure so the mat never feels squishy. The tag on the underside (rather than the surface of the mat) is a nice touch. 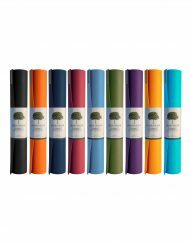 Jade, I hope you come out with the Elite S in longer and wider sizes, a logical move given the dynamic practices this mat is designed for. That would be a 5 in my book. 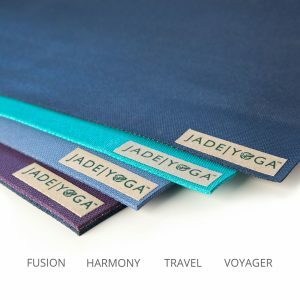 I recently purchased this mat after owning a Jade Harmony for the past year. I absolutely loved my Jade Harmony but unfortunately with daily use it has started to fade away. I decided to go with this mat and am beyond pleased with the product. I have a daily Ashtanga practice so I needed more durability. 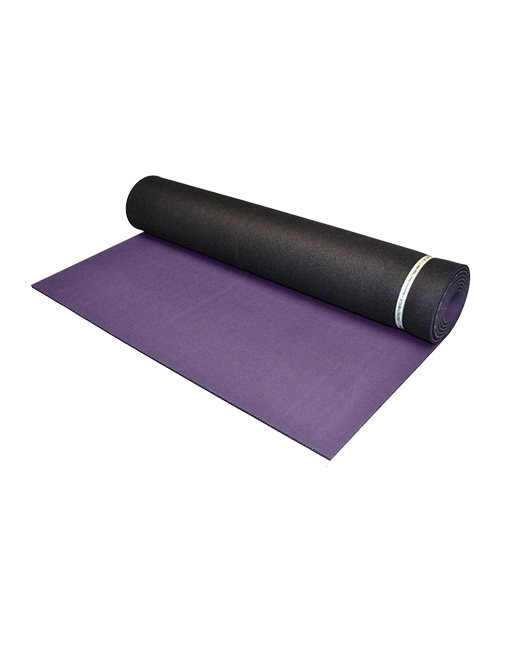 This mat appears to be far more durable than the Harmony with its extra dense top layer. Beyond the durability I could not believe how soft, squishy and grippy the mat was. This mat isnt going anywhere once you set it down and given how comfortable the mat is you won’t want to get off. I loved my Jade Harmony mat but this mat has blown me away, I am sold on the Jade company and their products continuously improving. 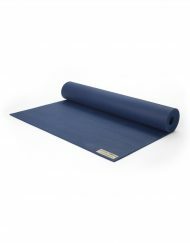 Love my mat and would absolutely recommend to anyone with a regular Ashtanga or Vinyasa practice. Thanks Jade!